Steven Lodge is run in accordance with the National Minimum Care Standards and also subject to inspections by the Care Quality Commission (CQC). We provide services to Social Services Care Managers, relatives or private individuals seeking medium to long term accommodation for adults with learning disabilities. 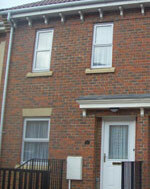 We also have facilities to offer supported living housing to clients who do not need residential care. Treat service users fairly with dignity and respect, irrespective of their beliefs, religion, gender, race or sexual orientation. Deliver care in an environment that is safe, friendly, relaxed, flexible and interactive for our service users, their families, visitors, staff and other stake holders.